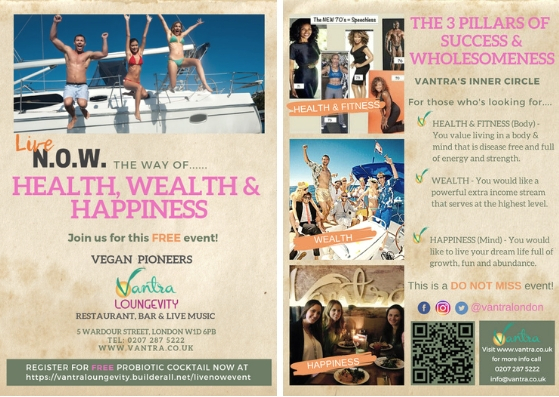 Vantra's Inner Circle on Sunday 28th Oct at 7 pm - 10 pm and we will present The Three Pillars of Success and Wholesomenessâ€ˆevent: ðŸ’ªðŸ�» Health & Fitness (Body) - You value living in a body an mind that is disease free and full of energy and strength. ðŸ’· Wealth - You would like a powerful extra income stream that serves at the highest level. ðŸ‘¨â€�ðŸ‘©â€�ðŸ‘§â€�ðŸ‘¦ Happiness (Mind) - You would like to live your dream life full of growth, fun and abundance. 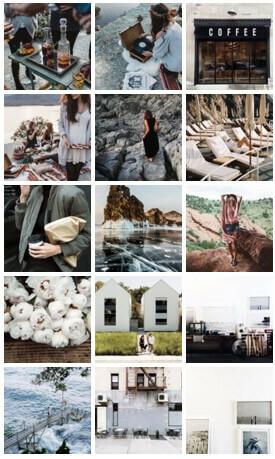 How to Bring More Presence and Aliveness to Your Life NOW! How to Tell if your Water is Dead or Alive - and What This Means for Your Life & Longevity! Register NOW to reserve your seat to this epic FREE event! *Limited guest tickets available if you want to bring someone you care about, please get them to register a.s.a.p! In light of all this our intention is purely to educate and create a happier, healthier world. SoirÃ©e Sawa 100 Ã‰dition - London (Tasgut Bss) in support of Sudan.